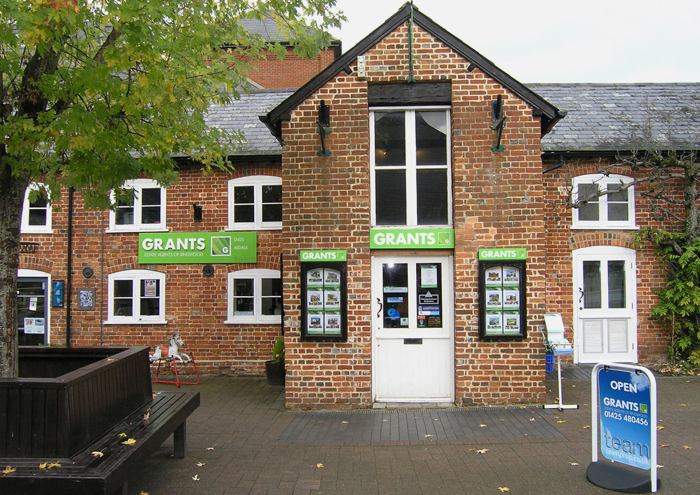 Grants of Ringwood commenced trading as an Independent Estate Agency practice on 1st July 1993, created by Jon and Sally Grant. Jon began his estate agency career in 1978, Sally in 1981, both working for local Ringwood independent agents. Their business ethos has always been to provide “The Service That Sells”, ensuring customers and clients receive an innovative, yet traditional, sales service. The key to any business success is the ability to react to change, provide value for money and be market leaders in a creative, professional and friendly manner. Their team have worked tirelessly over the years, showing incredible loyalty, commitment and patience, to place Grants at the forefront of their profession. Ringwood, for many centuries, has been the heart of the New Forest National Park. The bustling market town to which all the forest roads lead. Ringwood still has a lively street market held on Wednesday's and has remained a delightful unspoilt small historic town with quaint shops, street entertainment, restaurants and cafes. The town gets its name either from the Saxon Rimuc Wode, meaning the edge of the wood, or from the Doomsday version, Rincvede, meaning a ford (vede) over a river (rine). Whichever interpretations you choose, either would be appropriate. Ringwood stands on the western edge of the beautiful New Forest National Park at a crossing point of the River Avon, as it meanders its way slowly south to the sea, at Christchurch. Ringwood's Market Charter was granted by King Henry III to the Lord of the Manor, in 1226. Although the corn and cattle aspect of the market are now no more, the attractive market place continues to be thronged by busy stallholders and market goers. Two large car parks and a grassed picnic area are very close to the old town centre. Ringwood has plenty of shops to cater for all tastes, including three supermarkets and a wide variety of smaller specialist retailers. Everywhere you look the scene is surrounded by an attractive mixture of ancient and modern. Thatched cottages nestle next to brick Georgian town houses. The Furlong Centre, where Grants of Ringwood's office is located, is a particular delight. A leafy courtyard with interesting speciality shops, in addition to free family entertainment during the summer months, providing a continental theme to this delightful pedestrian area. The impressive Frampton Mill building was converted from the 400 year old Frampton Seed Merchants Stores. The Parish Church, built in 1853, overlooks the Jubilee Lamp, in the middle of the Market Place, which was erected to commemorate Queen Victoria's Golden Jubilee in 1887. Your stay in Ringwood would certainly be much happier than that of the Duke of Monmouth, who was held in Monmouth House, in West Street, after the abortive rebellion of 1685 and from where he, unsuccessfully, wrote to his uncle, James II, begging for mercy. Ringwood is an ideal touring centre for the New Forest and the Avon Valley. In and around the town there is a wide choice of hotels, inns, guest houses, bed and breakfasts and camp sites. The area is well served with a variety of pubs and restaurants satisfying every need. Additional attractions within the general Ringwood conurbation include opportunities for sailing and fishing within the many lakes and rivers surrounding the town, plus horse riding and cycling within the 92,000 acres of adjoining New Forest National Park countryside.